Porta Andalucia - your leading real estate agent in Siles! You are looking for a property for sale in Siles, or have a question regarding our real estate offers in Andalusia? You were not able to find the ideal finca in Siles? Then please call us on +34 971 720 164, or send us an email to info@portaandalucia.com. Our Porta Andalucia real estate agents in Siles will be pleased to asist and will help you find your dream property. 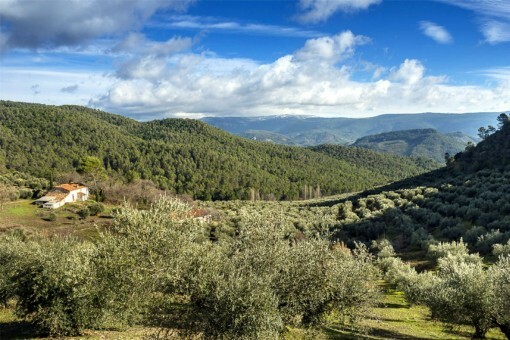 The property is located in the Sierra de Segura in the province of Jaen, Andalusia. The nearest village is about 9 km away and can be reached via a well maintained forest path. Siles is a Spanish municipality of the province of Jaén, in the autonomous community of Andalusia. The next largest city, Jaén, can be reached in about 2 hours. The nearest international airport is located in Murcia and about 215 km away. The capital of Spain, Madrid, is about 300 km away. you are reading: Siles: Property for sale in Siles, Andalusia · Porta Andalucia Rating 5,0/5 by 2 testimonials.